In a two-page decision, the U.S. Court of Appeals for the D.C. 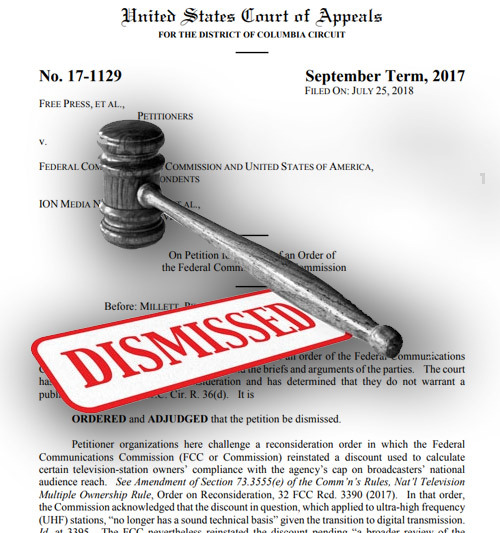 Circuit has refused to overturn the FCC’s restoration of the UHF discount on the grounds that the parties challenging it did not have standing to bring the petition. However, its impact may not be beneficial to the Sinclair/Tribune acquisition which might already be doomed. The UHF discount means that only half of a UHF TV station’s audience counts towards the 39% national media ownership cap. During oral arguments (195-page file – 31.8 MB), it was presented that Sinclair will have a total audience reach of 666 million or 58.77%. With the UHF discount, however, its national reach will be calculated at 37.39%. The discount allowed Sinclair to bid for Tribune stations, although last week the FCC voted 4-0 to put the review of the deal on hold due to the “serious concerns” that Chairman Ajit Pai had as to whether the Sinclair Broadcast Group “engaged in misrepresentation” in its $3.9 billion acquisition of Tribune Media. “I’m pleased with the court’s decision to reject this challenge to the reinstatement of the UHF discount pending the completion of our comprehensive review of the national ownership cap,” Pai said in a statement this morning. President Trump’s tweet puts Pai, a Republican appointed by Trump, in the awkward position of having to defend the FCC and avow its position as an independent regulatory agency. Democrat Commissioner Jessica Rosenworcel cut to the chase Tuesday in a one-word reply to Trump: “Disagree”. If the Sinclair acquisition fails, according to analysts, it creates less risk to Fox News from a new competitor. President Trump is outspoken about Fox being his network of choice. 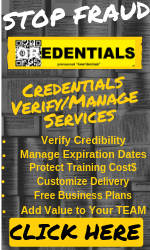 During April’s oral arguments, the three appellate judges had concerns about Free Press and other petitioners not being able to identify how their company would be harmed. “We’re disappointed that this panel of judges refused to rule on the FCC’s phony math and poor excuses for the obsolete and harmful UHF discount,” Jessica Gonzalez, Free Press Deputy Director, said in a statement. “It’s important to remember that this decision does nothing to bless or approve the FCC’s unsupported policy changes and legal claims surrounding the reinstatement of the fossilized UHF loophole. It also offers no opinion on Pai’s proposal to unlawfully raise the national ownership cap in yet another rulemaking proceeding still pending at the agency,” Gonzalez said.